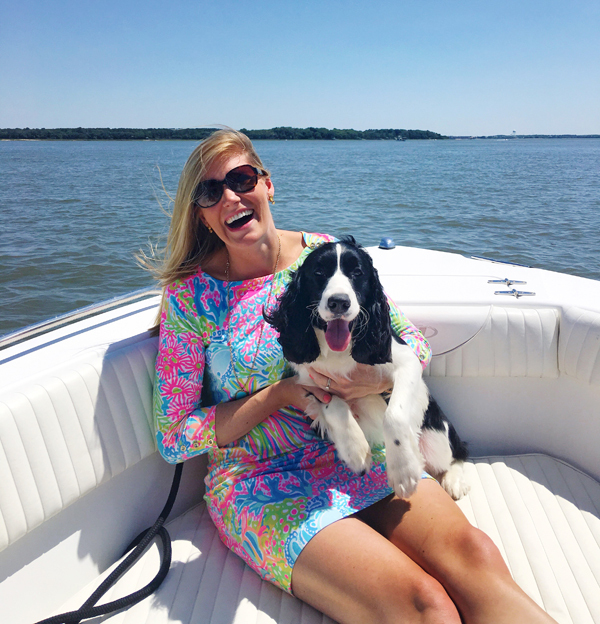 Lilly Pulitzer's very best gift with purchase promotion weekend is here!! 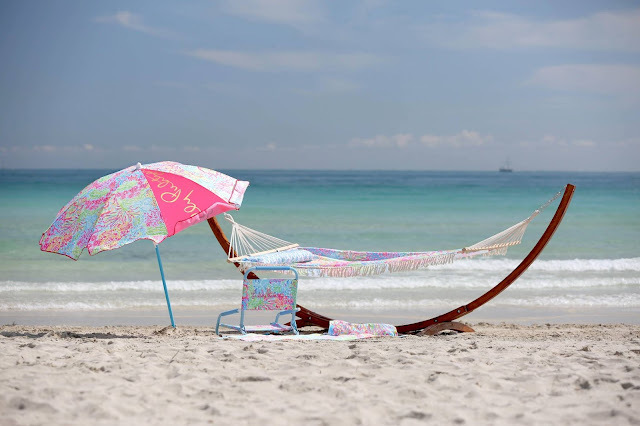 There are some gorgeous prints, colors, and styles out right now so it would be pretty easy to get that hammock (if money wasn't an object of course!) See some of my favorite dresses and more below! I had a little try-on session the other day and fell in love with these outfits! This dress is my fav for summer boat days! I shared this dress on Instagram here and here- it's so easy to throw on for those hot summer days. Hope y'all have a great looooong weekend! Since last week's Wednesday Wishlist was such a hit, I wanted to share another one! This week, it's all about the workout wear I've had my eyes on lately. I think this Etsy shop has some of the cutest/funniest barre tanks (um, who else is with me on this?!) and I love these as well. I always love the cute tanks that have built in sports bras since it's one less thing to thing about and the strappy backs always look so pretty and feminine! I listed a couple cute ones above, but I also love this one that is on sale for $19! Not included on this wishlist are these shorts that I just got in the mail and have already thrown on with my tank from yoga this morning (yes, that means I still haven't showered... oops!) 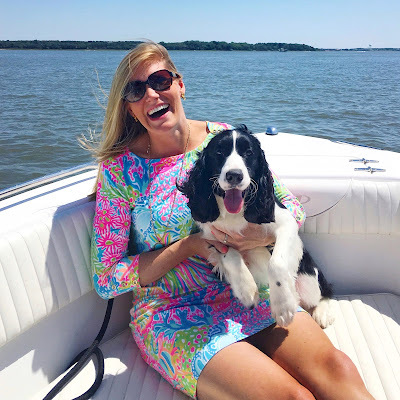 I have them in this print already (you've seen them here and here) and I have been living in them- out walking Lucy, to the beach with my PFG shirts, and even to bed! I love the comfy material and that they have pockets so I can throw my phone and keys in there if I'm leaving the house without having to bring a separate bag. They are a little tight in the waist in my regular size S so I went up to a M (I'm normally a 4/6 in shorts) and they are great- a little bit baggy in the legs but I'm totally fine with that because they have a 3" inseam which is a little on the short side for me with my long legs so I don't mind having them a little big. 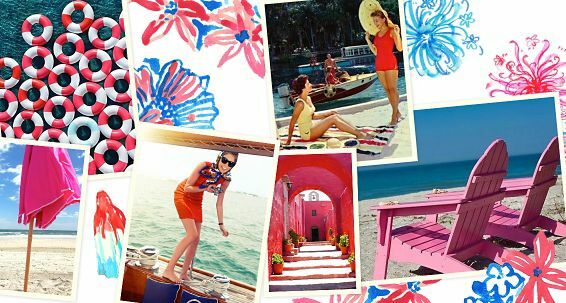 Through the years, Lilly Pulitzer has been known to do a patriotic print every summer and Memorial Day Weekend (coming up in just 5 days!) is the perfect chance to break out your favorite red, white, and blues! 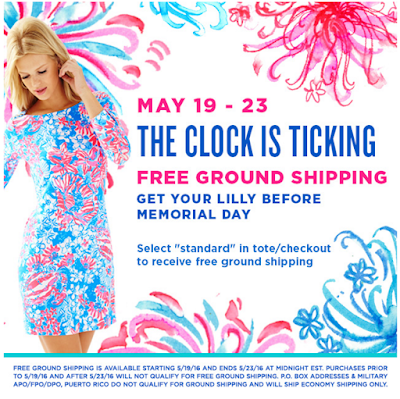 Through midnight tonight, Lilly has free ground shipping on their website so be sure to order today to get it in time for your MDW festivities! This year's "Pop Pop" print is the perfect combo of red, white, and blue that doesn't scream 4th of July (since it's more of a coral pink than red) but still is fun and patriotic! 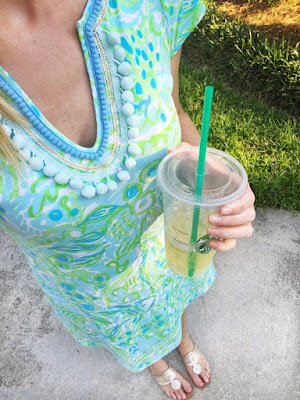 I love this Sophie dress (same UPF 50 style I have here and here) and the adorable scalloped Buttercup shorts! 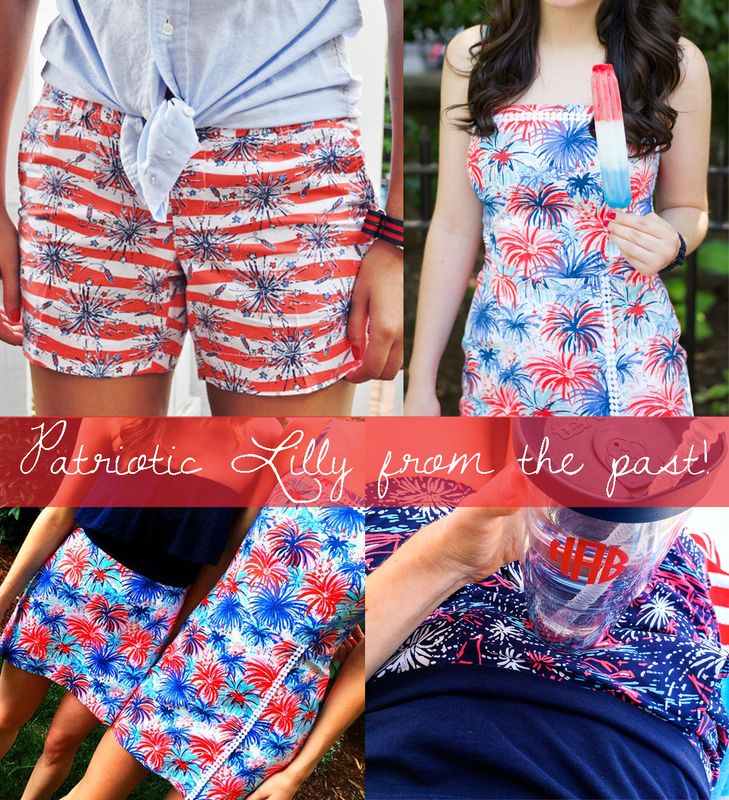 Sharing some fun ways to style your patriotic prints from the past! 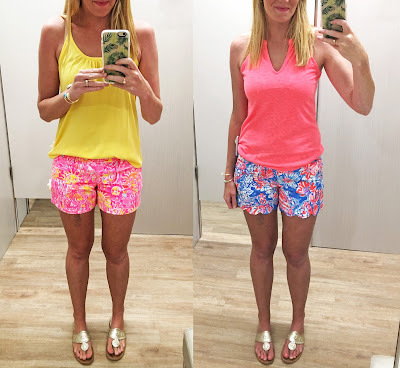 Unfortunately all of these prints/styles are no longer available on the Lilly website since they're from summers past but you can always look for them on Lilly re-sale boards (there are a bunch of great ones on Facebook! ), Poshmark, eBay, or Mercari! While looking back through these prints I also found this image I made back in the day for my Tumblr blog for the Lilly store I worked for at the time! I've always been a fan of those patriotic prints! 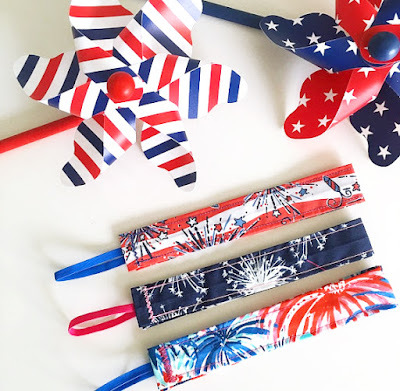 If you love these prints, one of my favorite Etsy shops makes these adorable "Lillybands" in all of my favorite patriotic prints! You can even get matching bandanas for your dog... so you know I had to order one for my Lucy girl! 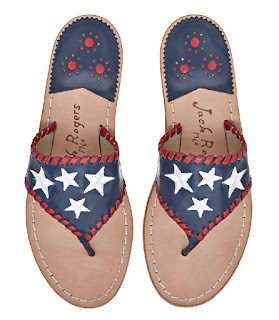 And since we're talking all things patriotic, I have to share these new Jack Rogers that I am obsessed with!! I love my navy and white Jacks and was just thinking I wanted a new pair, and how perfect are these with the red stitching! It's been a while since I've shared a Wednesday Wishlist with y'all but there are SO many cute things out there right now that I have had major heart eyes for lately! I would probably add ALL of the Kate Spade new arrivals to this list because they're that good (think palm trees, seahorses and tropical drinks!) but this cute Coconut Drink Crossbody caught my eye immediately and just screams summer! 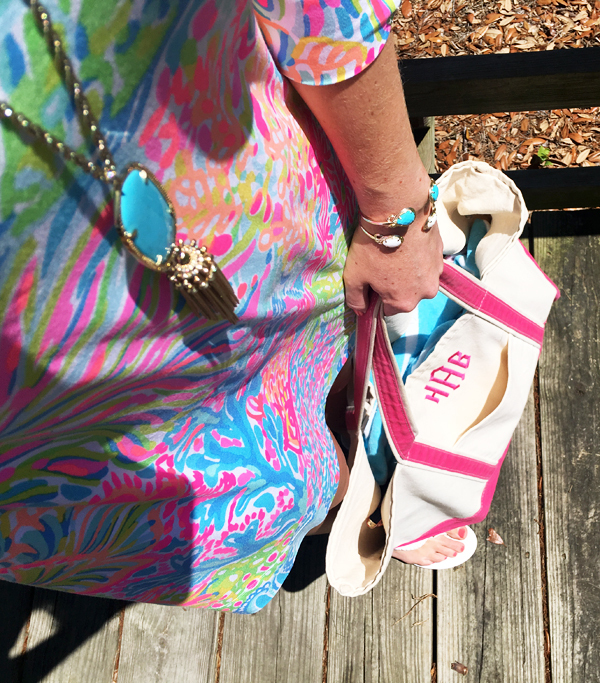 This Cocktail Tote is so fun too if you're looking for something a little larger! I fell in love with this dress the second I spotted it online! 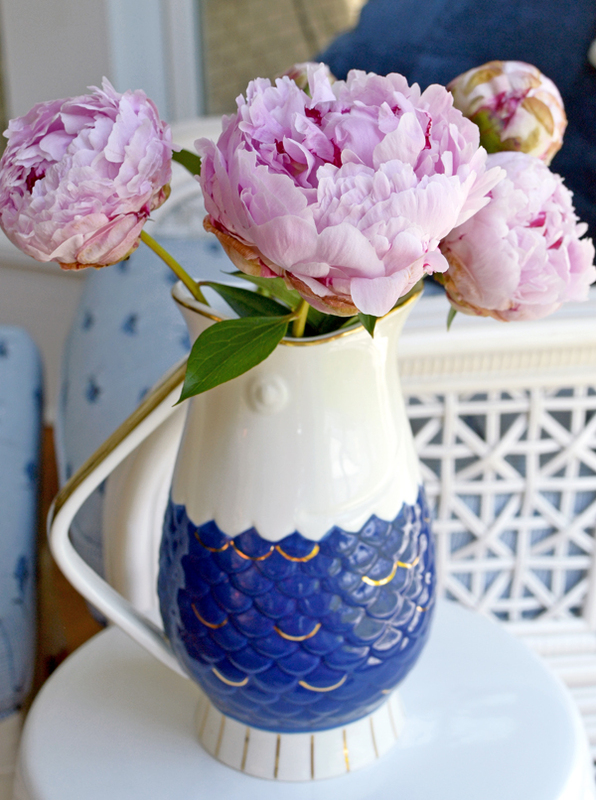 I love the blue and white Otomi with the contrasting panel at the top- you see it up close here. I think the brown version is so cute too and love pretty much all of the dresses in the Otomi pattern, which comes in teal and white too! Though these embellished sandals are definitely more "boho" than my typical style, I think they are so fun for summer! I originally saw these sandals and loved them, but wasn't sure I wanted to pay that much for a style that may be trendy (though if you're looking for the real deal, these are gorgeous too!) Since these are under $100, I think they'd be really cute and you'd be able to wear them with so much (like maybe even that hot pink off-the-shoulder top!) It looks like they are backordered, but just up until the 20th which is Friday. I have searched high and low for the perfect neutral/light tan tote and this one has come up as the winner for me. I think Gigi New York has some great quality bags (I have this style in coral from a few years ago that still looks brand new!) and I love that you can get it stamped with your initials to personalize it, who doesn't love a monogram?! ;) The bone color is on my wishlist because I think it's a great neutral for the spring/summer but this tote also comes in a gorgeous hydrangea blue, poppy red, slate, navy, black, and white. I shared this post a few weeks ago about my love for embroidered espadrilles, but I think these are some of the cutest espadrilles I've ever seen! Not only are they blue and white but to top it off, have a crab and seashell leather appliqué! Hi friends! 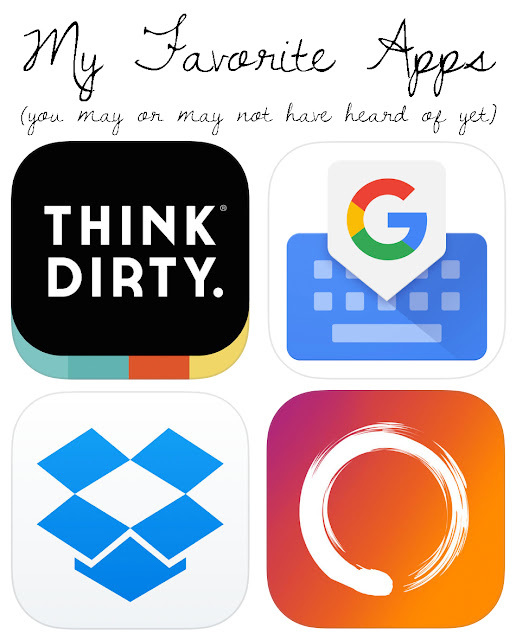 Today I've been wanting to share this post with y'all for a while now and highlight some of my favorite lesser known apps that I use and love! 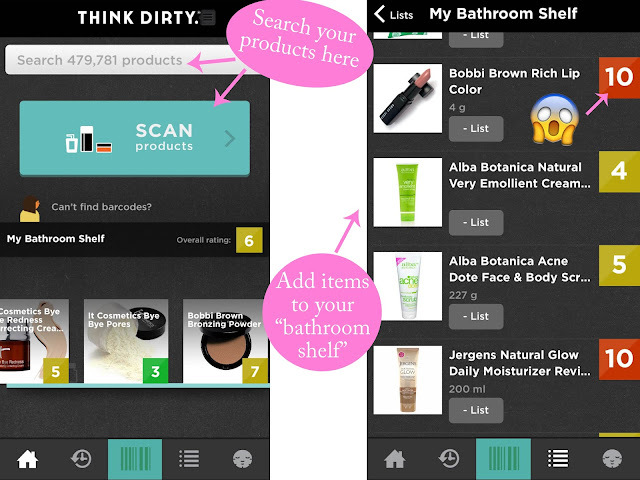 I can't remember where I first heard about this app, but it has been so helpful on my move to safer beauty/body products! You can scan a label or search for the product in your bathroom sink and it will tell you what their "clean" rating is. 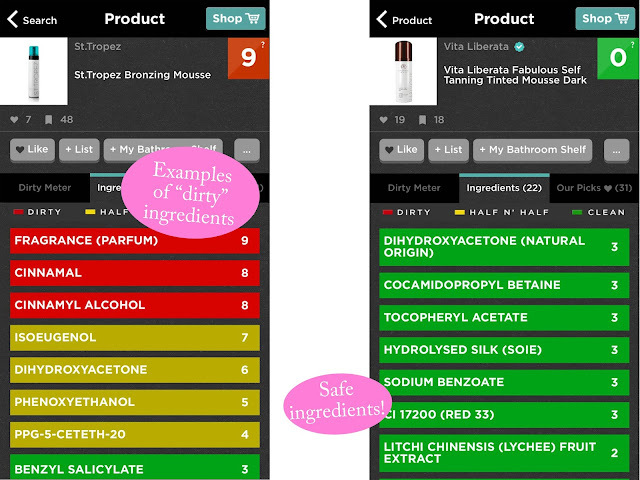 I was shocked to see how many "dirty" ingredients were in products that I use every day! As you can see, a lot of products that I use regularly are 10's on the Think Dirty scale!! I've tried to stop using or at least cut back on my use of these products and switch to something safer. A great resource for this is the EWG's Skin Deep Database or just click over to the third tab when you're searching your product and they will give you their picks for similar, safer products. I started with my self tanning mousse since I knew it was something I'd be using a lot this summer. Since the product I usually use was rated as a 9, I thought I'd check out what the Think Dirty picks were and found the Vita Liberata mousse that is free of bad chemicals. So far, I LOVE this self tanner (even more than the previous one I used) and I think it leaves less of that weird self tanner smell and the color seems to stay for longer! I really want to try this one next since it seems to have gotten some pretty decent reviews and if it can last for 2-3 weeks, thats definitely a plus! Also, don't forget your mitt- it may look silly, but it's the key to applying evenly and not having weird brown spots in between your fingers and on your palms! 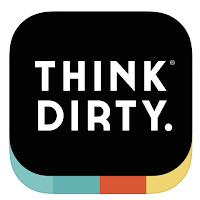 I will note that even though the Think Dirty database is huge, there are still a ton of products that aren't included in it yet. But like I mentioned above, if you're interested in learning what is in the ingredients in your bathroom sink, the EWG's Skin Deep Database is another great resource! I am also trying to slowly switch over to safer makeup products and have heard awesome things about Beauty Counter and can't wait to soon place my first order! 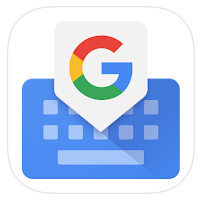 I first read about Gboard in Carly's blog post last week and downloaded it immediately! Where has this been all my life?! 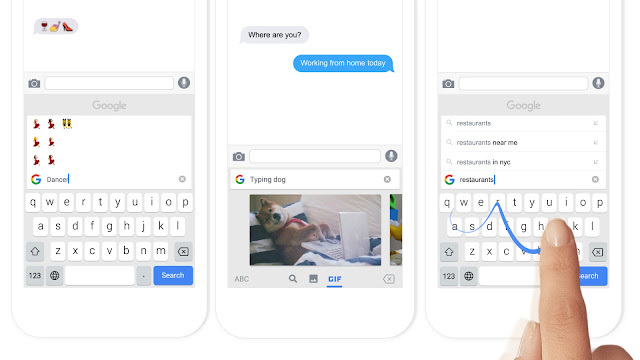 Basically, Gboard is a Google powered keyboard where you can search the web, search emojis, or search gifs and send them without ever leaving your text message. You also have the ability to use a swipe keyboard, which was something I loved back in the day when I had an Android phone. You can read more about Gboard here, here, or here! 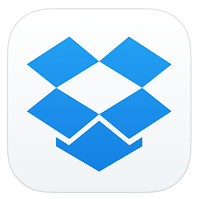 Most people have heard of Dropbox before, but if you haven't used it yet, I highly recommend it! I started using it last summer when I was taking a ton of photos on my phone that I didn't want to delete to make more room for storage. 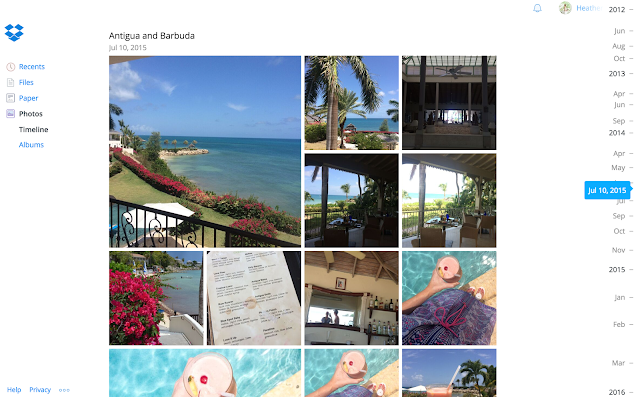 Instead, I just uploaded them all to my Dropbox app (it was actually Carousel at the time) and I have them saved and easily accessible on my phone, computer, or iPad! 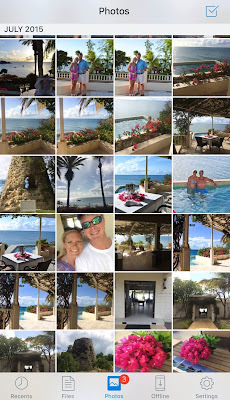 So, say I wanted to download all of the photos I took on our honeymoon so I could use them later (which I definitely did!) for frames, photobooks, etc. I easily just went to my Photo Timeline (I use this link) and you can find the timeline on the right side and just click to which day you want to see! And I can do the same thing in my Dropbox app on my phone! Easy peasy! 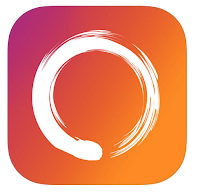 *The biggest drawback with this app is that you do have to pay for more data. 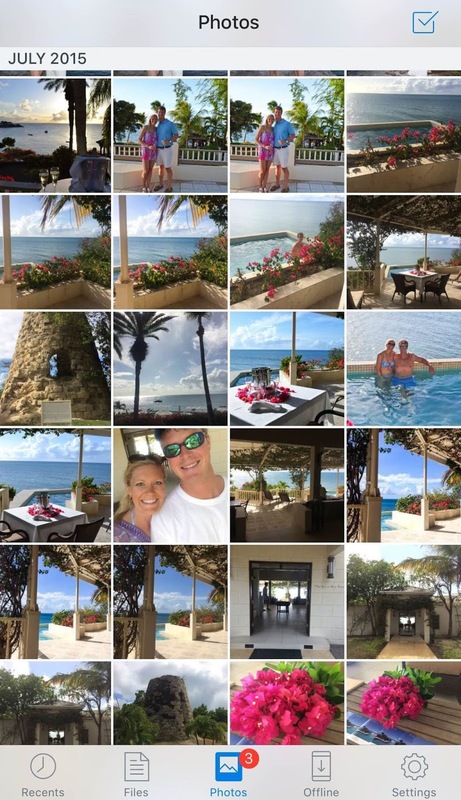 I believe it was $99 for a year but because of how many photos I take on my phone and how important those memories are to me, it's so worth it! I started using this app when I moved to Savannah and was searching for workout classes to take in the area. I love that it easily tells you what is the closest, shares deals at studios near you, shows you the schedules, and you can sign up seamlessly through the app! Once you scheduled your classes, you can have the app add it to you calendar so you don't forget or if you open the app you can go straight to your schedule and see what you have coming up! 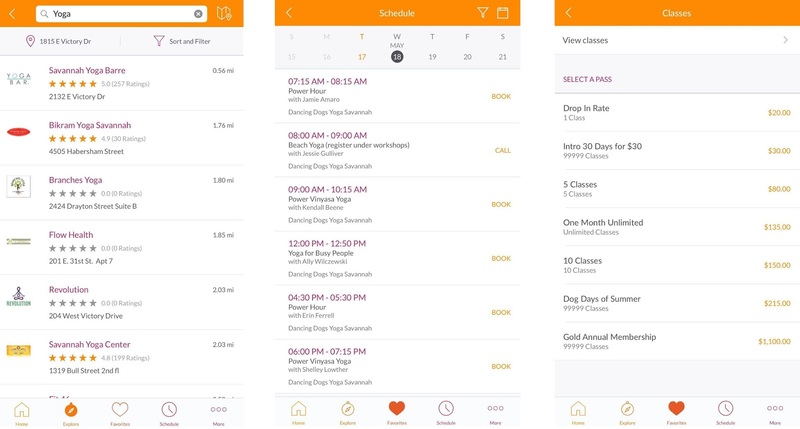 It's been a great tool for me to plan out my workouts through the week because once they're booked, it's hard for me to cancel- even on nasty rainy days like today! 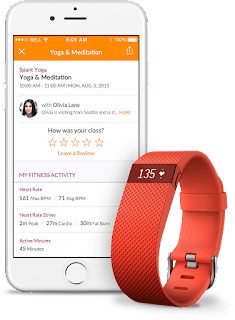 I also just noticed that if you have a Fitbit, you can sync that with your app- how cool! I hope all of this was helpful in finding some new useful apps! If you decide to download them or already have them, I'd love to know your thoughts! Last Friday was a little cooler so I paired my adorable new Lauren James Seersucker Bow Shorts with a white long sleeve tee. I can't wait to wear these shorts again with a white tank- and maybe even some red for Memorial Weekend/Fourth of July. Of course, I had my trusty Sweet Tea Monograms Weekender Bag in tow- I take that thing everywhere! 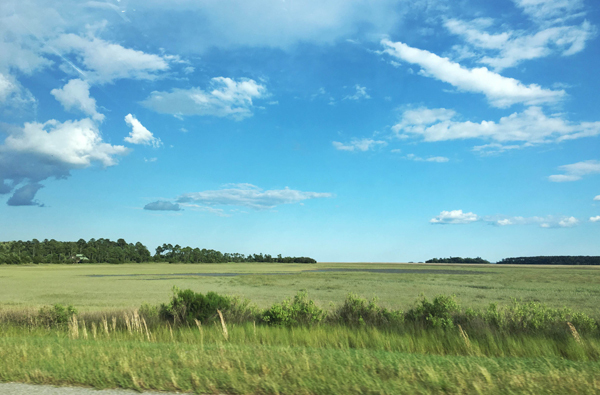 The ride up Highway 17 is just the prettiest! Saturday morning Robbie took Lucy for a run, and I got out and explored downtown a little bit. 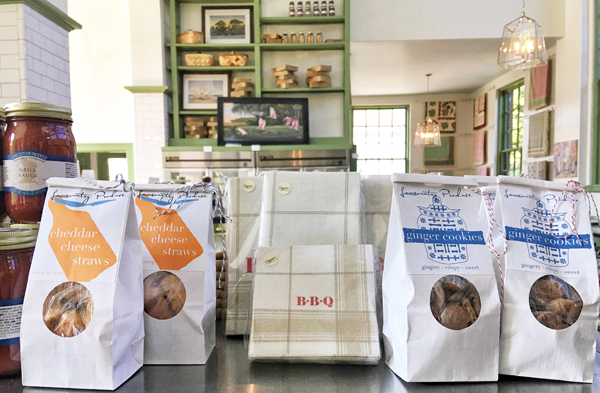 I stopped at Lowcountry Produce, just a block north of Bay Street, for a little breakfast and coffee to go. 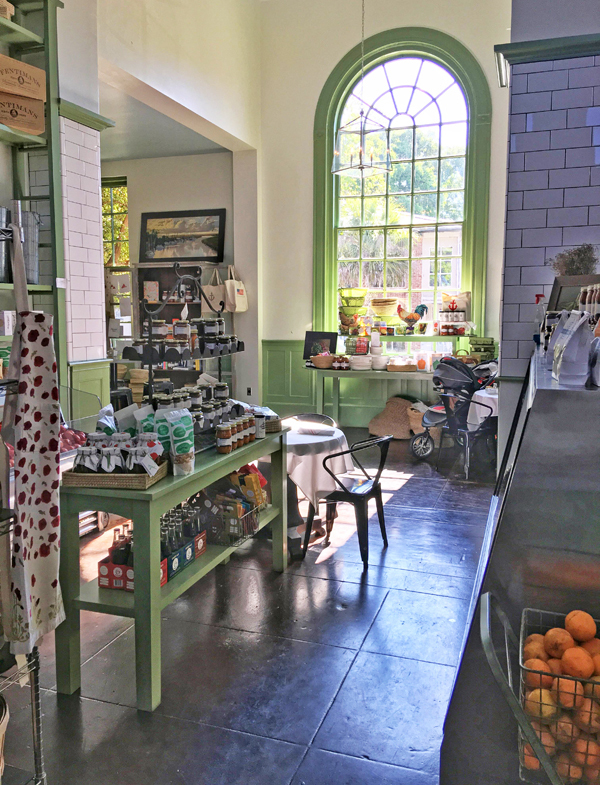 It's the cutest little market/cafe that used to be a post office so it has these gorgeous tall windows that let in so much light! 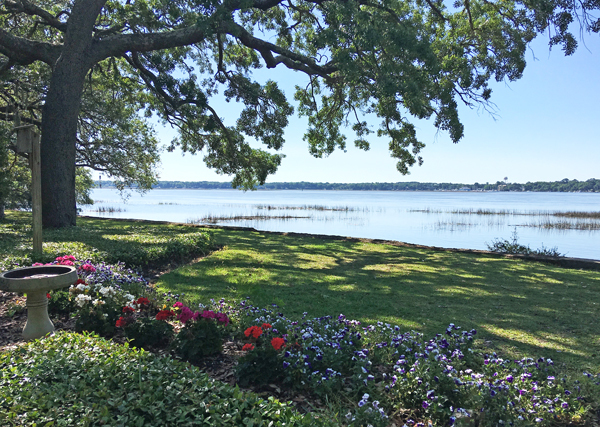 I found a bench in this quiet little shaded area right off the busy intersection of Bay and Carteret. 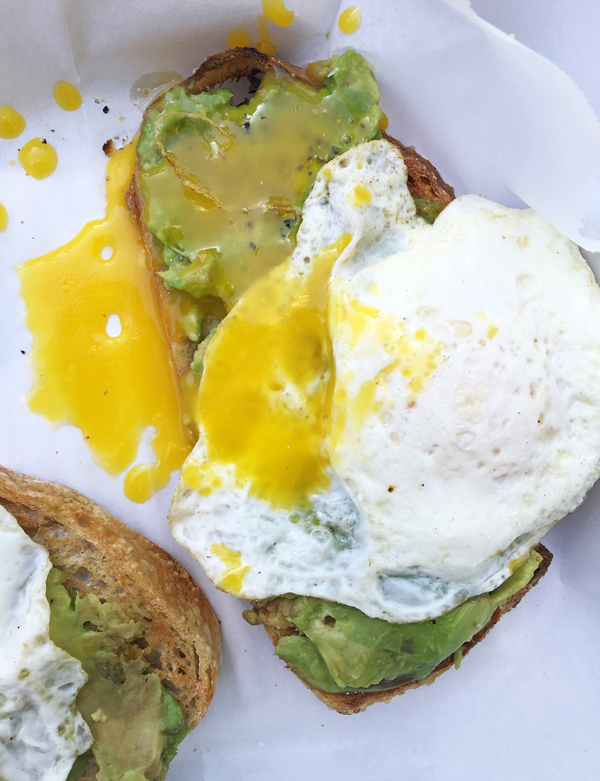 Nothing beats breakfast with a view! 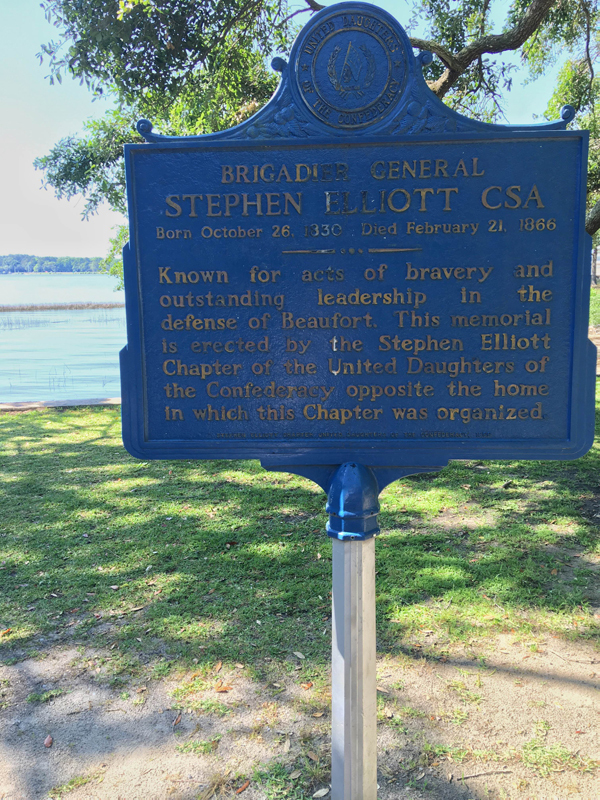 A little dose of Beaufort history with my breakfast. 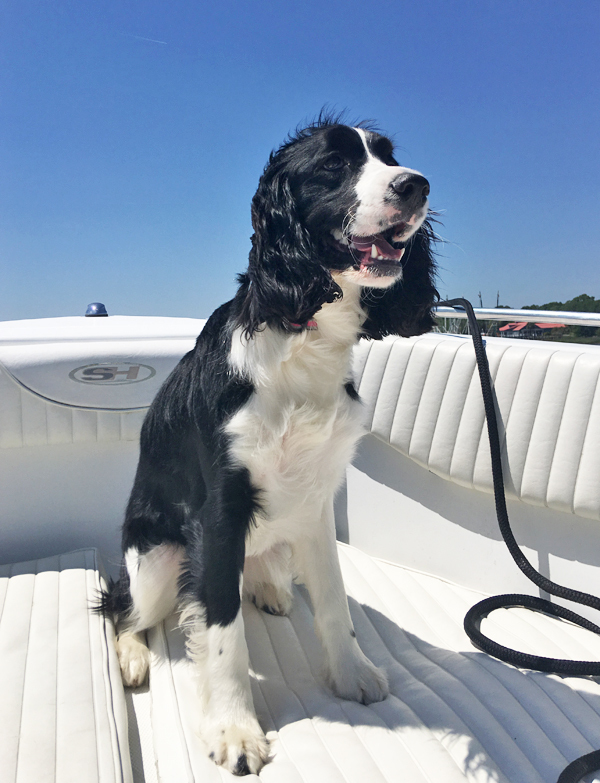 I headed back to the house and it was time to go for a boat ride! 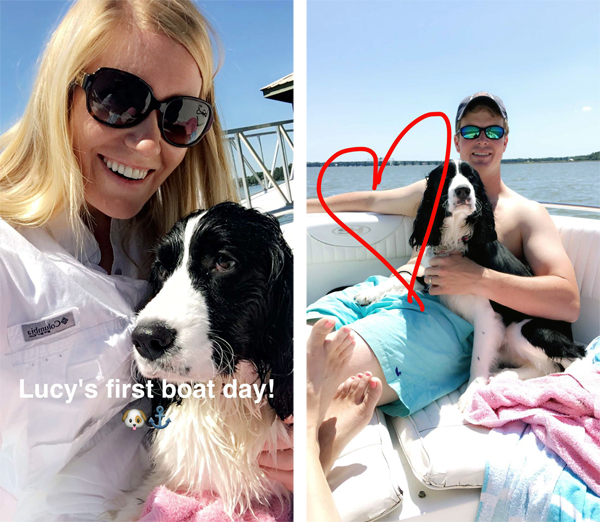 This was Lucy's first big boat ride and she LOVED it! She even got to play a little in the water before we loved and as you can tell from her being soaking wet, she had a ball with that too! 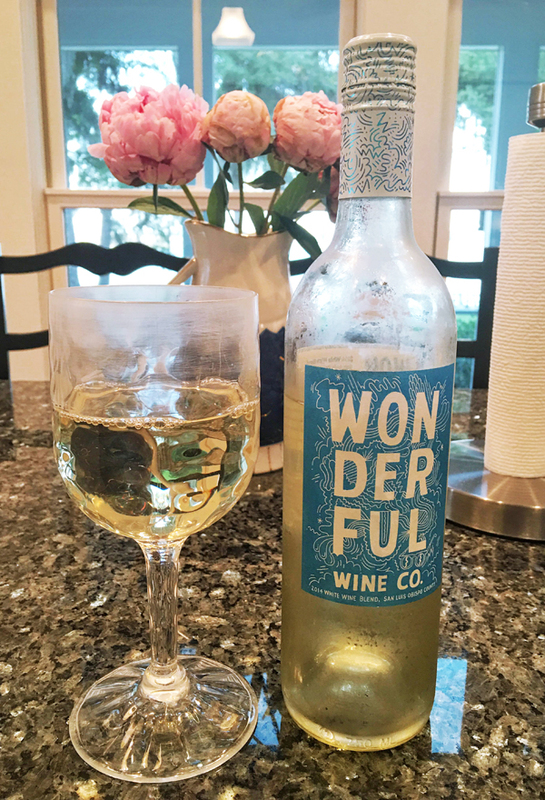 When we got back to the house, I opened up my WONDERFUL Wine (which was pretty wonderful!) from my last Club W delivery and we had a shrimp boil- my favorite! 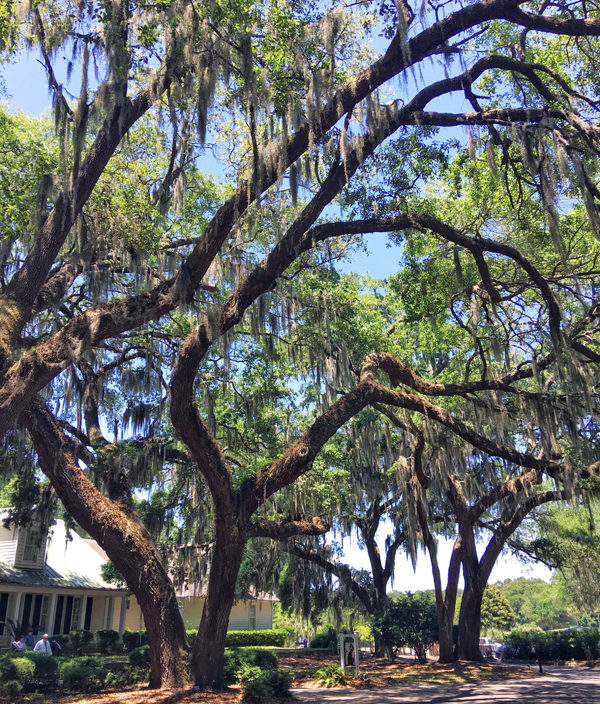 We drove out to Cat Island for a yummy Mother's Day brunch with my husbands family and I was in awe over these gorgeous Spanish Moss covered trees! 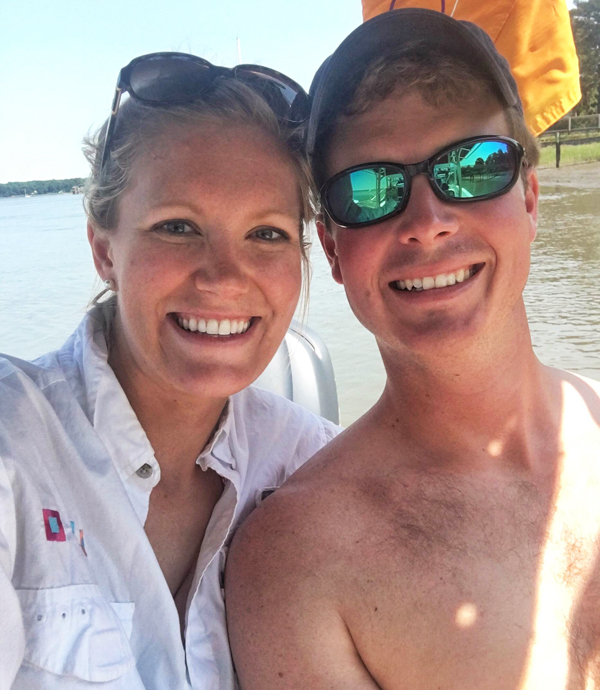 After brunch, we got our things together for another boat trip before we headed home! Me (in more sun protective clothing haha!) and my Lucy girl! Here's hoping this weekend will be as great as the last!